First grader Freddy Thresher wants to beat the local bully in raising money for the animal shelter, but first he needs to learn to ride a two-wheeler. Join Freddy and his friends for another 1st grade adventure! Content, humor, characters, and vocabulary are perfect for the chapter-book reader. 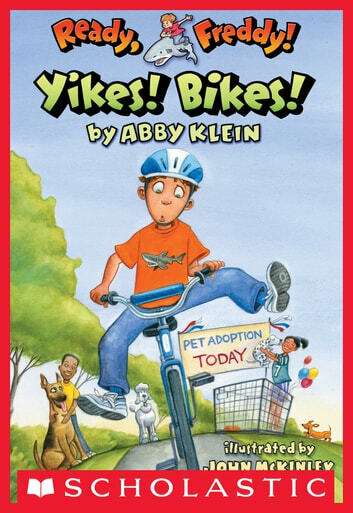 In this book, Freddy and his classmates participate in a Bike-A-Thon to help raise money for a local animal shelter. After Freddy and Max make a bet to see who can do the most laps, Freddy needs to learn how to ride a two-wheeler fast! Books related to Ready, Freddy! 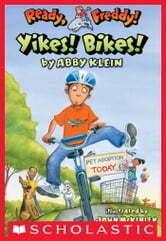 #7: Yikes Bikes!